IDC5 CAR 69.0.0 offers only the best multi-brand diagnosis. A number of high quality diagnostic developments, special functions and technical information that are essential in order to complete even the most complicated workshop operations professionally. Thanks to this new software release 47 makes have been updated. For 38 of these makes, moreover, new diagnostic systems never released before have been developed, involving 190 models. Over 610 diagnostic systems have been developed, involving over 180 systems. Furthermore, the work of TEXA developers has been once again focused on the Active safety systems, the so called ADAS, constantly increasing in modern vehicles. 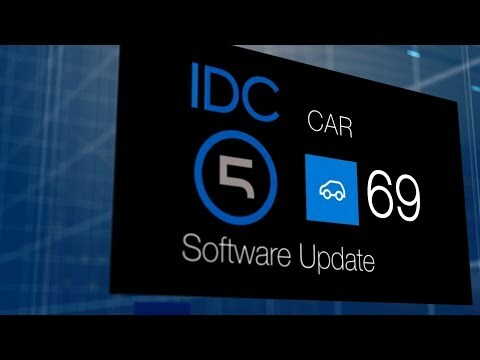 IDC5 CAR 69.0.0 includes over 20,000 new possible selections for the major makes on the market worldwide, among which: ALFA ROMEO, AUDI, BMW, BUGATTI, CHEVROLET, CHRYSLER, CITROËN, FERRARI, FIAT, FORD, GAZ, GREAT WALL, HONDA, HYUNDAI, JAGUAR, JEEP, KIA, LAMBORGHINI, LANCIA, LAND ROVER, LEXUS, MASERATI, MAZDA, MERCEDES-BENZ, MINI, MITSUBISHI, NISSAN, OPEL (GM), PEUGEOT, PORSCHE, RAVON, RENAULT, RENAULT SAMSUNG, SCION, SEAT, SKODA, SSANGYONG, SUBARU, SUZUKI, TOYOTA, VOLKSWAGEN, VOLVO. In order to guarantee maximum professionalism in radar and camera calibration operations, starting from IDC5 CAR 69, a simple procedure is required to activate your RCCS Kit. The activation takes place automatically if the diagnostic tool is connected to the Internet. If it is offline, you must enter the Kit's serial number located on the back of the main body of the calibration unit o near the power supply. If you cannot find the serial number you can ask your retailer for it. Once it is entered, the software will return a code that you must give to your retailer who will then send a counter-code to enter in order to complete the activation. NOTE: In order to make the best use of TEXA's diagnostic tool, we recommend maintaining an active Internet connection. Safety while working on vehicles is increasingly important, especially in connection with the widespread of vehicles powered by electric and hybrid vehicles. For this reason, starting from the CAR 69 version, for each diagnostic selection regarding an electric or hybrid vehicle, a warning sheet will be displayed which will help the mechanic know what type of operation to carry out. They are essential practical, sheets that will be displayed after selecting a certain recently manufactured vehicle, in which the procedure needed to unlock and activate the diagnostic procedure correctly will be explained in a simple and intuitive way.